The South Miami Hospital has agreed to pay approximately $12 million to settle charges that it violated the federal False Claims Act. Prosecutors say the nonprofit hospital submitted claims to Medicare for medically unnecessary pacemaker surgeries and cardiac electrophysiology studies. The fraud was tied to a single physician, Dr. John Dylewski. Like most whistleblowers, the two physicians complained internally before filing a whistleblower case. Only after their pleas were ignored did they file a False Claims Act complaint. Apparently, they were not the only ones to complain. The two say that “multiple other physicians and staff” complained to the hospital yet no meaningful action was taken. The two physicians say the abuse went on for at least 7 year before hey filed a False Claims Act lawsuit (also called a qui tam suit) in federal court to stop the fraud. to inflate the surgical and medical fees and reimbursements, along with the related hospital and anesthesiology fees and reimbursements by the federal government. They also say that the hospital was an active participant in the fraud. South Miami Hospital agreed to settle the charges for approximately $12 million. Dr. Dylewski has not yet settled. Prior to settlement, the hospital attempted to dismiss the complaint saying that it was “long on adjectives about Dr. Dylewski’s alleged procedures, but short on the particularized facts” about the hospital. Dr. Dylewski also tried to dismiss the claims saying, the complaint needlessly harmed his “good will and reputation” as a board certified nationally recognized and honored, clinical cardiac electrophysiologist. Both motions to dismiss were denied earlier this year. The hospital subsequently settled but Dr. Dylewski has not. The hospital admitted no wrongdoing as part of the settlement. Under the federal False Claims Act, whistleblowers with inside information about fraud involving federal healthcare programs are eligible for an award. The Justice Department says that Dr. Burks and Dr. Davenport will split an award of $2,478,500. To earn a whistleblower award, one must have original source or inside knowledge of the misconduct. That misconduct must involve a federal program or tax dollars. To be eligible for an award, one must first file a lawsuit in federal court. The contents of the lawsuit and even its existence are placed under seal meaning they are kept secret to allow prosecutors to investigate the claim. Ultimately, either the Justice Department or whistleblower’s own lawyer can prosecute the claim. When that decision is made, the complaint becomes public. This case is significant for several reasons. First, the case shows that the Justice Department is willing to go after nonprofits. The case also demonstrates the government’s willingness to look for deep pockets such as the hospital. If they believed that Dr. Dylewski was committing a fraud and both turned a blind eye and profited from the misconduct, the hospital becomes just as liable as the Dylewski. Finally, the case is a reminder that Medicare fraud is not a victimless crime. Drs. Davenport and Burks say patients received substandard care and were sometimes subjected to invasive cardiac procedures. 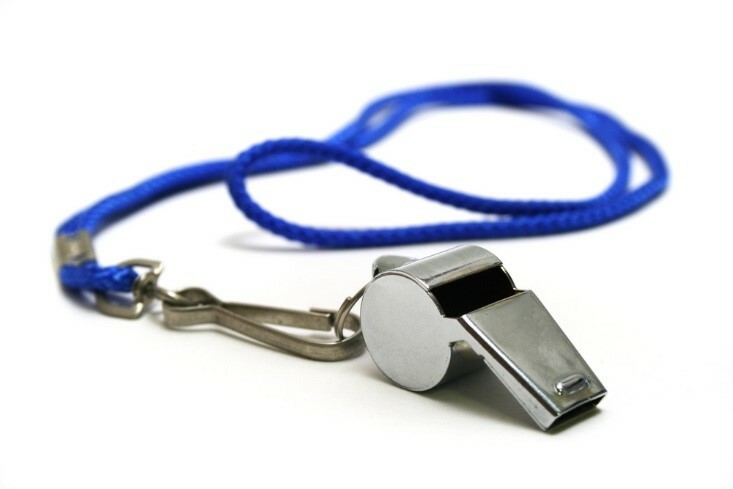 The whistleblower lawyers at MahanyLaw have helped clients collect tens of millions of dollars in awards. Our consultations are always confidential and you never owe legal fees unless we first recover money for you. or by telephone at (414) 704-6731 (direct). You can also view our downloadable 11 step guide for whistleblowers.